Firing Room #1. Kennedy Space Center has 4 firing rooms. 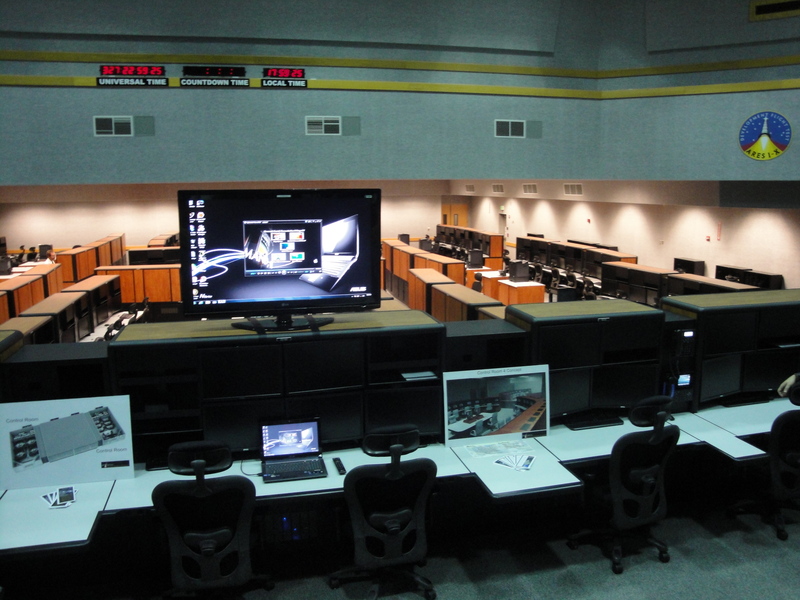 Kennedy Space Center has 4 firing rooms, all beside one another on the third floor of the Launch Control Center. At lift off, control of a Shuttle mission immediately transferred to Johnson Space Center, Houston, TX, and Mission Control. Firing Room #1, #3 and #4 were all used for Apollo moon missions. Firing Room #2 was used for training. All four firing rooms appear to the same size, although plans are underway to divide Firing #4 into four separate firing rooms which would be much smaller. During the later Shuttle missions only Firing Room #3 and Firing Room #4 were used. And for the last 20 or so Shuttle missions, following the modernization of Firing Room #4, only Firing Room #4 was used for launches. The Mars Science Laboratory was not launched from any of these firings rooms. Launch control for MSL was adjacent to Pad 41, and after launch control of the mission passed to a NASA contractor located in the Denver, Colorado, suburbs.